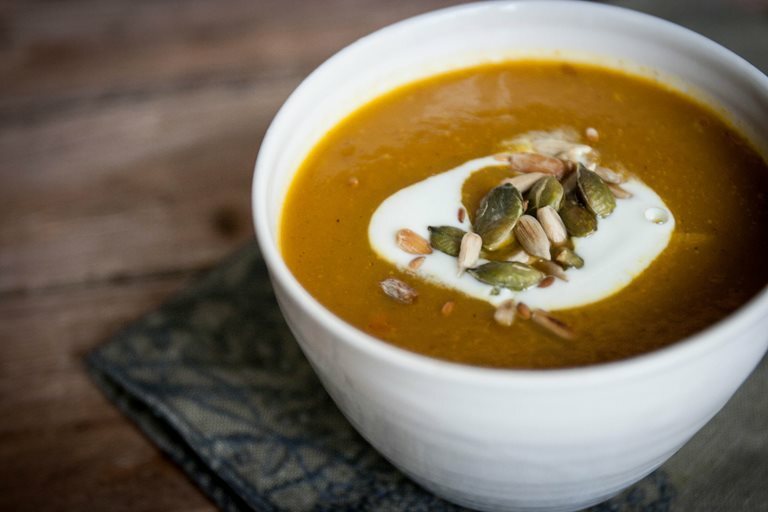 A spiced pumpkin soup to lift us from the winter doldrums, this simple recipe from Monica Shaw is bound to warm the cockles. Included here is a recipe for making your very own curry powder to give the perfect blend of spice to the dish. 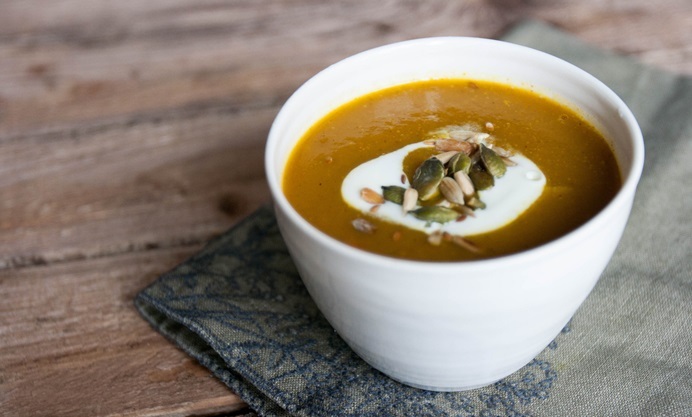 Of course, curried pumpkin soup is a classic, but this recipe takes it up a notch by using homemade curry powder which is such a huge step above from the shop-bought stuff. Freshly ground whole spices are intensely more fragrant and flavoursome than pre-ground spices, which quickly go stale while sitting on the shelf. The soup itself is very simple - you need little more than pumpkin (or other winter squash), onion, oil or butter, water and of course, the curry powder, which itself isn’t spicy so if you’d like a bit more heat in your pumpkin soup, feel free to add some cayenne or a chopped red chilli. I love this soup garnished with Greek yoghurt and toasted pepitas (pumpkin seeds), but a good vegan standby is coconut milk and chopped coriander.